Thomas Davis sits in the quiet of his Charlotte, North Carolina, home, wearing a silvery, Glen check suit and a striped, burgundy tie, his diamond earrings glimmering in the dim of his living room. It is a weekday evening in the offseason, at the end of May, and he walked into his home just a few moments before, all dressed up, apparently coming from some sort of local engagement. He is currently on his cell phone finishing up an interview, giving respectful, yet short, answers to seemingly common, monotonous, football-related questions. Davis keeps looking over at those who are waiting for him and silently mouthing his apologies for the delay. Already, even without talking to him, it is obvious Davis is much more than a football player. 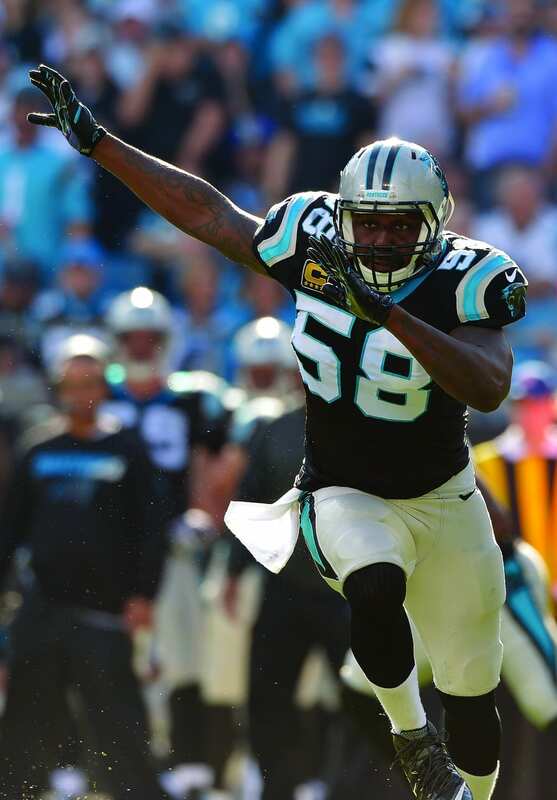 There is nothing in his living room indicating that he has had a successful, 10-year NFL career with the Carolina Panthers, amassing over 700 tackles, 17 sacks and six interceptions; nothing indicating that he is one of the best 4-3 outside linebackers in the league; and nothing indicating his renowned defensive success in the SEC at the University of Georgia. The only thing in his living room that indicates he has any relation to football at all is the bronze, 2015 Walter Payton Man of the Year trophy sitting on his mantelpiece, almost hidden by a nearby chair. Minutes later, Davis’s phone interview comes to an end, and, despite the sense that Davis has had a busy evening, meeting all sorts of obligations, he lights up when his next interview begins—when he is asked about his personal journey, in his faith or with his family or with the Charlotte community. Thomas Davis’s reality looks much different now than it did when he was drafted by the Carolina Panthers in the first round of the 2005 NFL Draft. Growing up in a poor, single-parent household in the rural town of Shellman, Georgia, he understandably became enamored with the new lifestyle that the NFL offered him upon entering the league as a rookie. It wasn’t until 2008, upon marrying his wife, Kelly, that Davis began to reconstruct his worldview. Through marriage counseling with a mentor, and talks with the Panthers team chaplain at the time, Michael Bunkley, Davis’s perspective on life began to change. Davis says that a spiritual seed had been planted a half-decade before at the University of Georgia by then-head coach Mark Richt, but it wasn’t until 2008 that Davis began to adopt the mentality for himself. He began to believe that maybe he could go into the world and have a positive impact on others rather than allowing the world to negatively impact him, fueling his selfishness. All of this came full circle in 2009, when, after carding the best season of his young career in 2008, Davis caught a vivid glimpse of both the meaninglessness of pursuing the world and the richness of God’s grace. One day, he was helping with an organization that provided free heart screenings to detect potentially lethal heart conditions in underprivileged children. In demonstrating the screening for the children, doctors discovered that Davis himself had been born with an abnormal coronary artery. Davis immediately learned that his previous reality, placing his entire identity and worth in football and all it had to offer, was futile because of how easily, and quickly, it could be taken away. Perhaps even more interesting, over the next two weeks, after doctors sent the results of Davis’s screening to cardiologists around the country, it was discovered that Davis fell in the 1 percentile of athletes who didn’t need to have open-heart surgery for their condition. It might seem like a pointless story, because nothing changed in Davis’s situation, but at the time it reinforced everything Davis was learning spiritually. It was a reminder that God intricately cared for him and had a plan for him. Through improbable circumstances, Davis was made aware of his rare heart condition. And through even more unlikely circumstances, he was made aware that he wouldn’t need open-heart surgery. Maybe it was all a reminder of a divine love. Following his offseason scare, Davis entered the 2009 season hungry to seize every opportunity that came his way on the football field. And he did. Midway through the season, Davis was having a Pro Bowl caliber year, accruing 71 tackles, 1.5 sacks and two interceptions, leading the team in all three categories. 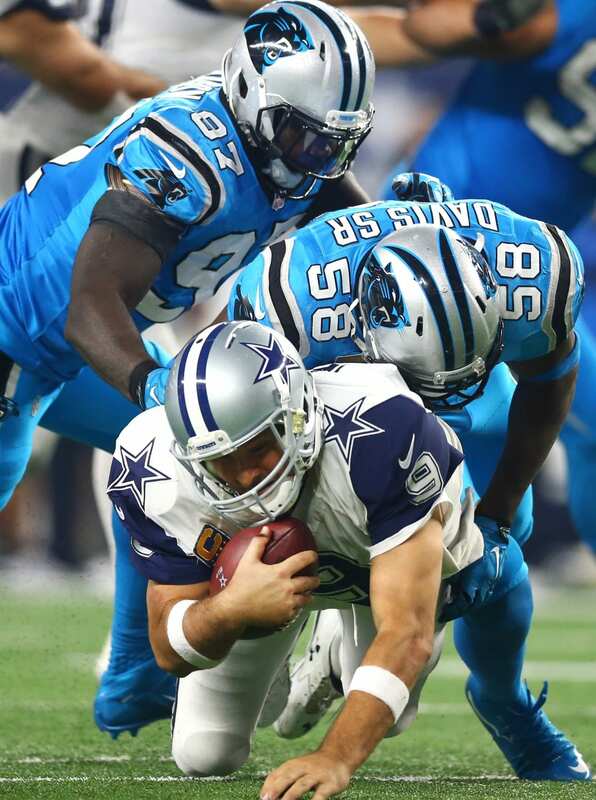 However, heading into the Panthers’ eighth game of the year, Davis tore his ACL, sidelining him for the remainder of the season. 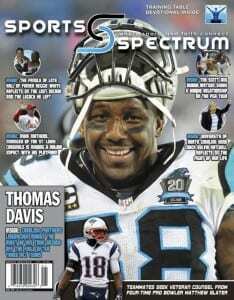 Then, six and a half months removed from surgery, Davis tore the same ACL for a second time on the Panthers’ practice field during OTAs (organized team activities), before the 2010 season even began. “So, after my first injury, I had never been hurt before, and didn’t really know what to expect going into the rehab process,” Davis says. “I found myself asking a lot of questions, going to God questioning, ‘Why did this thing have to happen to me?’ And then it happens again, and now it’s really like, ‘God, what are you trying to show me?’ You ask so many questions, and after going and questioning God and asking why it happened to me, I asked myself another question: Would I want it to happen to somebody else? The answer was no. Then came what most believed at the time to be the final blow. Two games into the 2011 season, Davis tore the same ACL again. Few NFL players had returned from two ACL tears. Returning to on-the-field success after three tears had never even been done before. Davis might have believed his football future was unclear, but not once did he believe his purpose in life was lacking because he couldn’t play a game he loved. Rather, through all of his ACL tears, Davis saw his time away from the game as an opportunity to not only come back stronger, but also to get more involved in the community and continue to grow as a person—as a husband and as a father to his and Kelly’s four children. What was the point of sulking because of something he could not control when he could be taking that energy, and time, and using it positively for the good of someone else? Knowing that his time with the Panthers might be coming to an end, Davis asked God to guide his steps and show him the way. The very next day, he was asked to sit down with owner Jerry Richardson, general manager Marty Hurney and head coach Ron Rivera. In the cutthroat business of the NFL, where players are treated more as assets than as people, one would never expect management and coaches to, not only believe in a player who had suffered three ACL tears, but also invest in that person. Today, Panthers higher-ups look like geniuses. After a solid four-year start to his career, followed by three years that he mostly spent injured, Davis has had a resurgence the past four years, totaling over 100 tackles each season (and on pace to do so again this year), reinstating himself as one of the top linebackers in the NFC. Through the first 13 games of the 2015 season, he had career-highs in interceptions (3) and sacks (5.5). Not to mention, Davis was integral in a suffocating defense that contributed to the Panthers’ historic undefeated start (this story went to print when the Panthers sat at 14-0). As impressive as his on-field accomplishments, what Davis has been most recognized for is his off-the-field philanthropy, a charitable mindset that was only reinforced during his time away from the game. 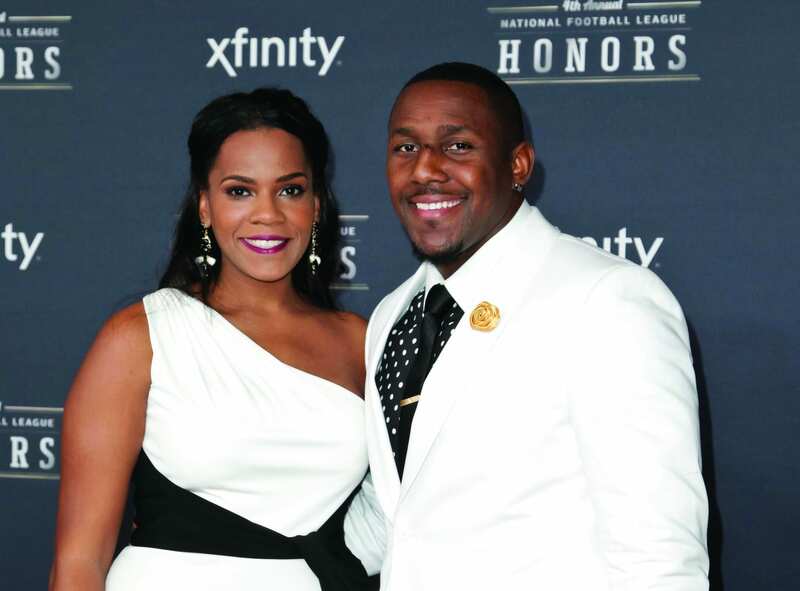 Davis was a Walter Payton Man of the Year finalist in 2012 and 2013, and the recipient of the prestigious award in 2014, honoring his volunteer and charity work. He also received the 2014 K-LOVE Sports Impact Award because of his impact in the community and his resilience on the field. 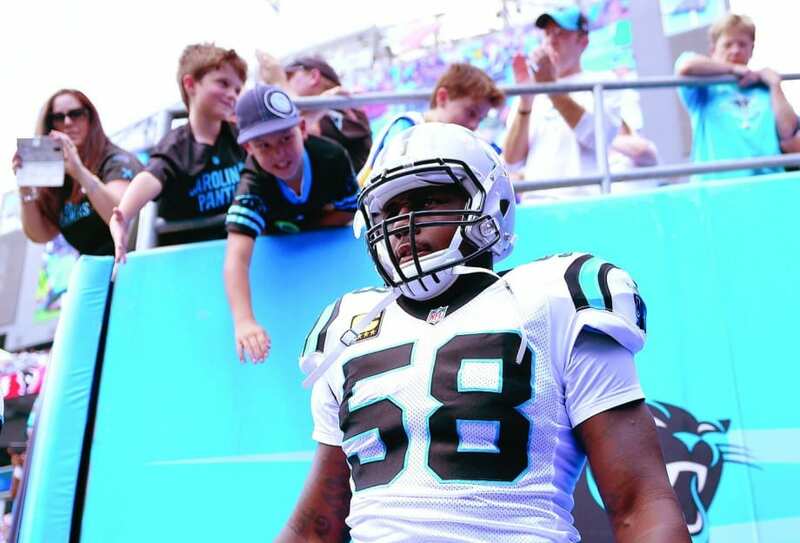 He and his wife, Kelly, founded the Thomas Davis Defending Dreams Foundation, a non-profit that provides and promotes free programs to enhance the quality of life for more than 2,000 underprivileged children and families. 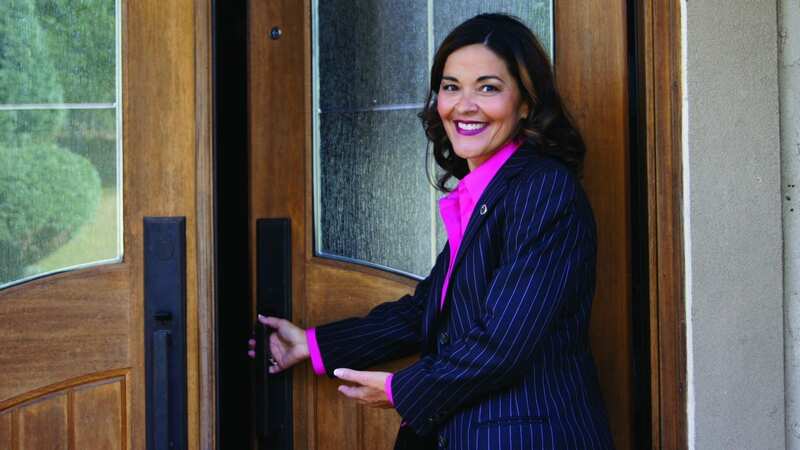 They also run a Youth Leadership Academy, which equips middle school-age youth with practical skills needed to become productive young adults and community leaders. His comeback from three ACL tears has also only amplified his story and strengthened his platform, as he has become a poster child for other NFL players battling ACL injuries and a shining light for organizations who are faced with a decision on whether or not they should cut a player based on an injury. 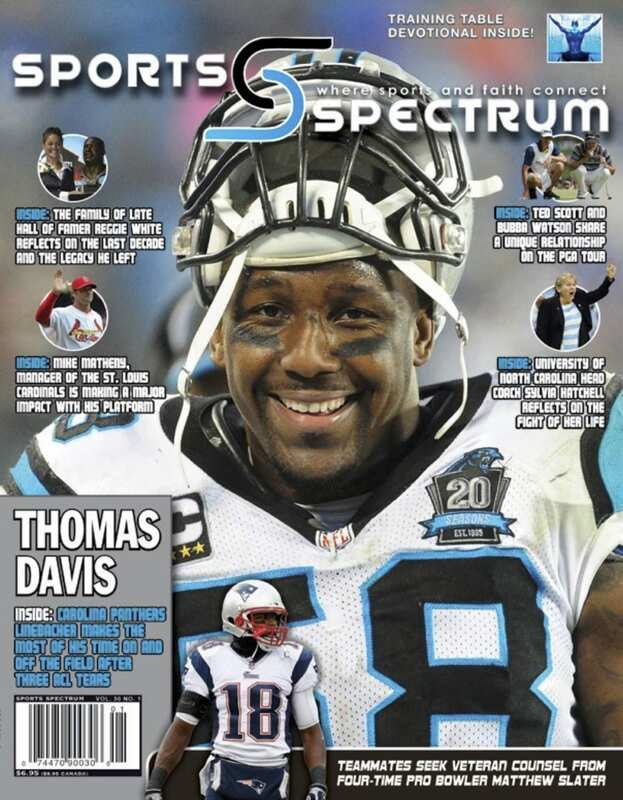 Thomas Davis’s world looks a lot different than it did when he entered the league 10 years ago. His reality has drastically changed. 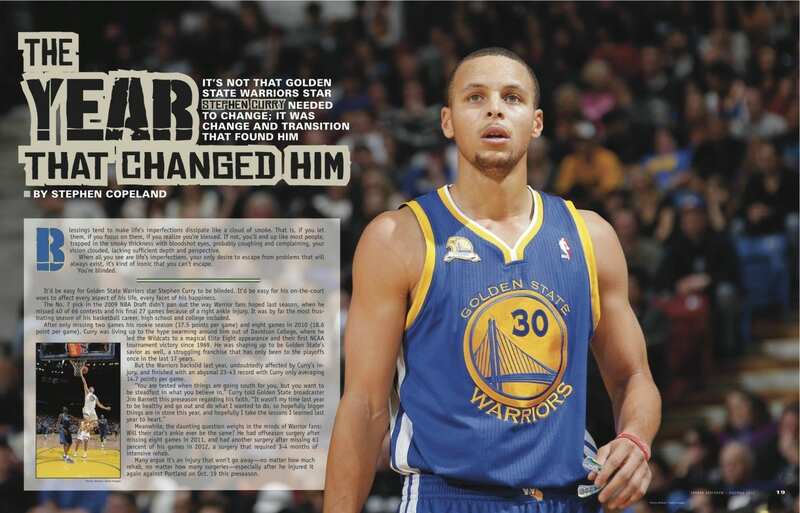 Through spiritual mentors who helped him see the world for what it was and helped him awaken to the fullness of life in Christ, and through aggravating injuries that helped mold him and sanctify him and direct his passions and amplify his story, he has become the man that he is today. His reality is no longer solely about football. It is no longer solely about soaking up the pleasures of this world. It is in something bigger, something freeing, something meaningful. Says Davis: “Reality to me, now, regardless of what is going on in my life, is making sure God is the head of my household without question, and making sure that whatever I do, I always honor my wife, making sure that I always remain respectful, and make sure that I am a father that my kids can be proud of in everything I do, trying to continuously give back to the community in Charlotte, and trying to help give back to people as much as I can.